I can’t tell you how many times I’ve waiting until the last minute to go shopping for classroom Valentines. And, every single time that’s happened, there is nothing good left. Ugh. Finally, last year, I got a clue. 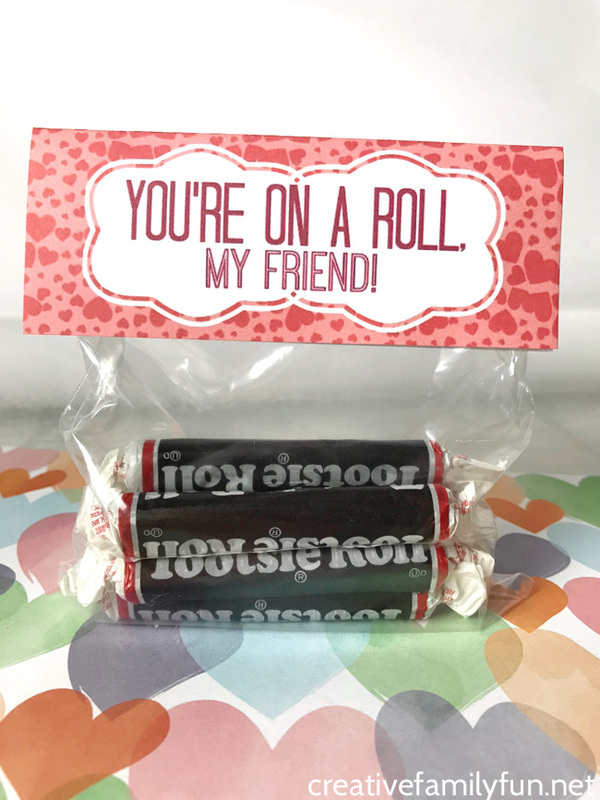 I found some cute printable Valentines, shopped for candy, put them together, and had a unique Valentine ready to go. 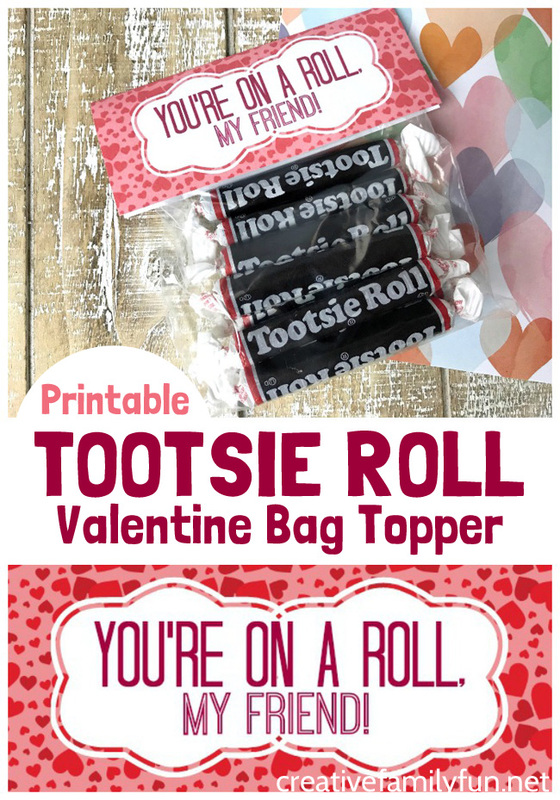 This year, I may just save myself the trouble of searching and use these fun Tootsie Roll Valentine Bag Toppers. If you’re looking for something cute and easy, I’ve got you covered. 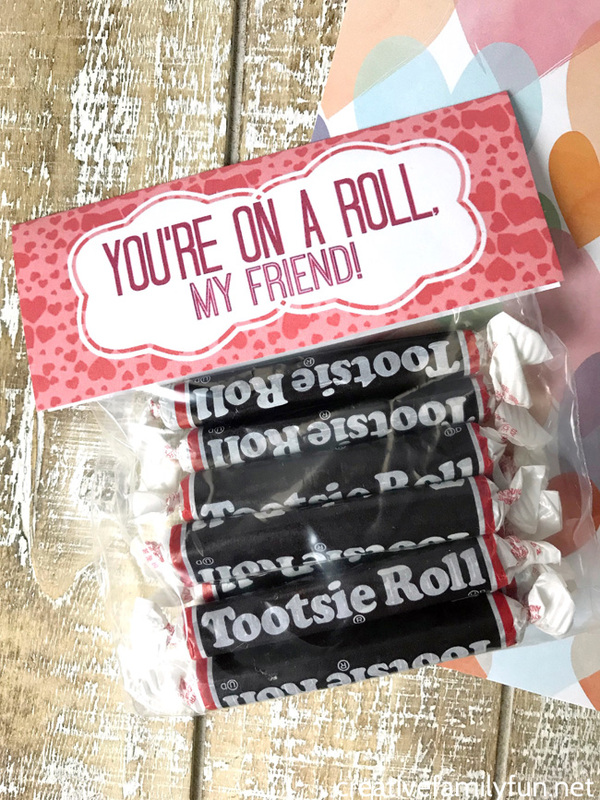 Just download, print, bag up some Tootsie Rolls, and you’re ready to hand these out to your friends. First, download and print out your bag toppers. (You’ll find the link to the PDF at the bottom of this post). There are two bag toppers per page. Cut out each of your bag toppers. Fill your bags with Tootsie Rolls. You can either use the large ones like we have here or the small ones. It really doesn’t matter! Leave room at the top to attach your bag topper. 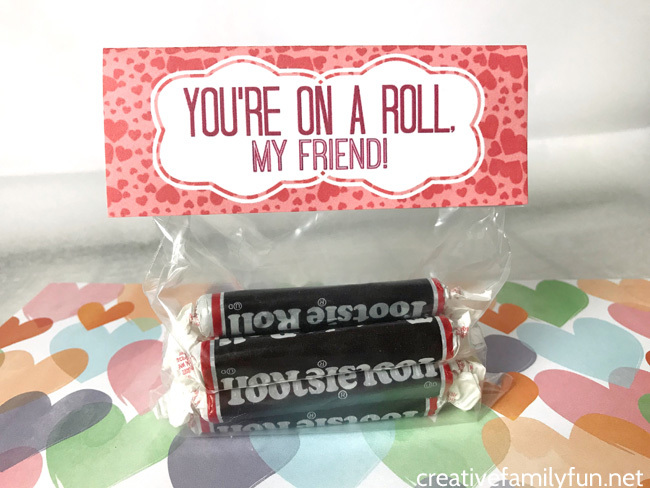 Attach your topper to your Tootsie Roll valentine with staples or double-sided tape. Have your child add their name to the back and they’re ready to go! I’m so excited to hand them out this year! 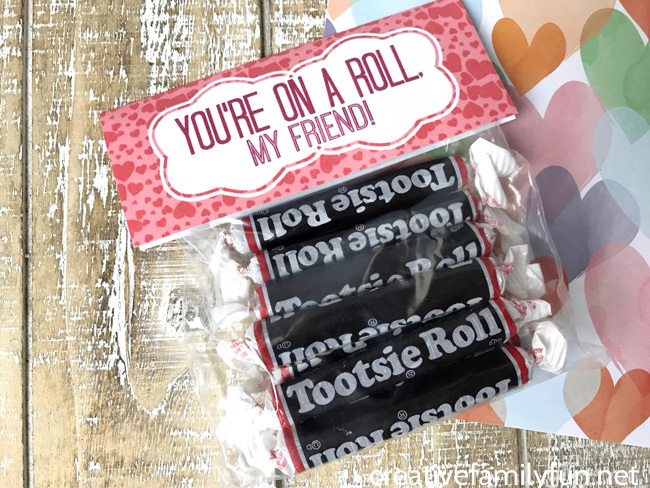 If you’re ready to make your own Tootsie Roll valentines, click this link to access your bag toppers. Thank you to PrettyGrafikDesign for the awesome clip art used on these bag toppers. I Am a Sucker For You Printable Valentine at Crystal & Co.